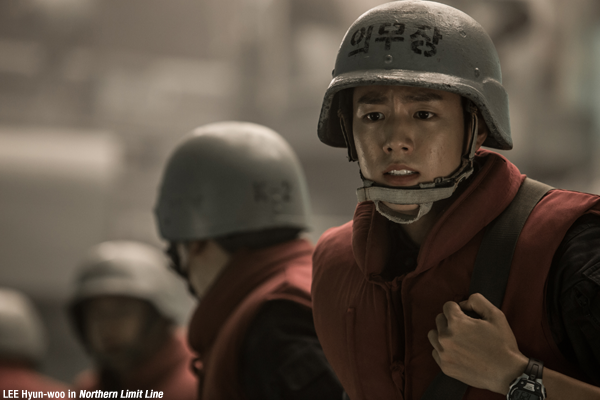 Last month, at the 49th edition of the WorldFest Houston Annual International Independent Film Festival, actor LEE Hyun-woo was awarded the Best Supporting Actor prize for his role in naval skirmish drama Northern Limit Line. The film also received a Special Jury Award in the Action/Adventure section. Directed by KIM Hak-soon, who previously made the film Rewind with PANG Eun-jin and JANG Hyun-sung in 2003, Northern Limit Line is a fictional account of the events the Second Battle of Yeonpyeong. During the 2002 World Cup, which was co-hosted by Japan and South Korea, North Korean military boats conducted an ambush attack on the South Korean Battleship 357. The film was a smash hit in June last year, garnering 6.04 million viewers (USD 39.46 million). LEE Hyun-woo played the new recruit on the boat, acting alongside GIM Mu-yeol (Eungyo, 2012) and JIN Goo (Mother, 2009) who portrayed his seniors. 23-year-old LEE has been active on both the big and small screen for around a decade, playing small roles in films such as Holiday (2006) and A Dirty Carnival (2006) before gaining considerable success in blockbusters such as Secretly Greatly (2013) and The Con Artists (2014). Last year, LEE also appeared in The Beauty Inside. This year’s WorldFest took place over April 8th to 17th in Texas.